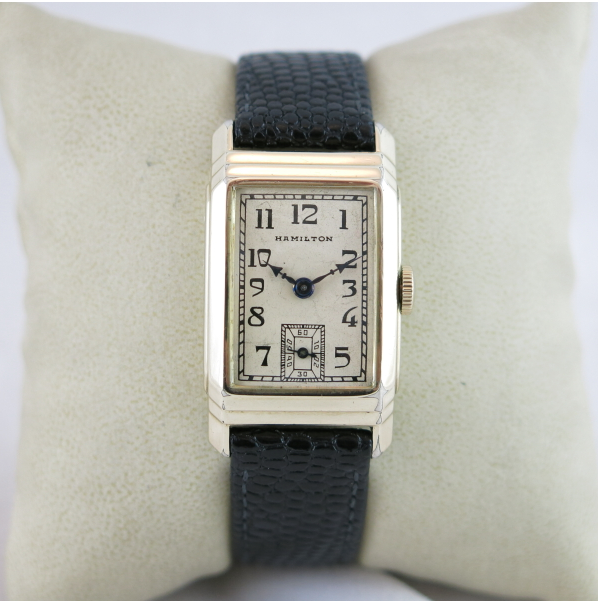 The 1935 Nelson was one of the first wrist watches to feature the 14/0 sized, 17 jewel 980 movement. It was produced for only two years. Three different dials were available, an AGN dial, and applied gold marker dial, and an inlaid enamel dial. I think the AGN dial is the most common. The other two are rarely seen but I don't know the production stats for them. The 14K gold filled case is typically found with at least a little wear to the high points of the stepped bezel. 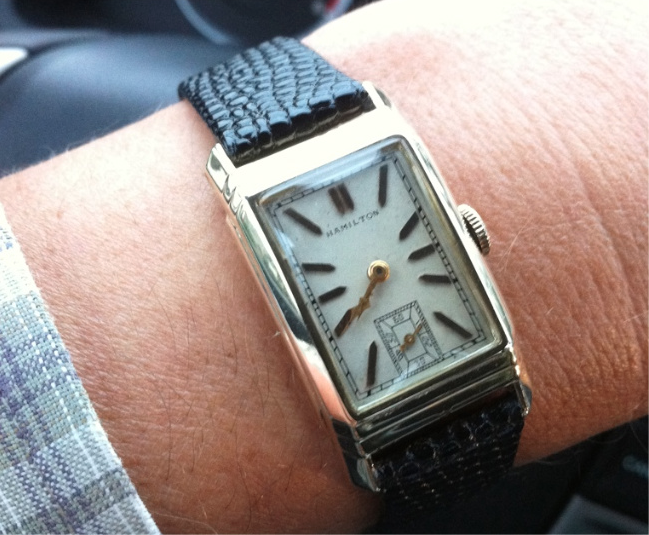 These early 14/0 watches are a little small, or better said, a little narrow, compared to the 6/0 sized watches from the same period, which are wider and present themselves as larger. 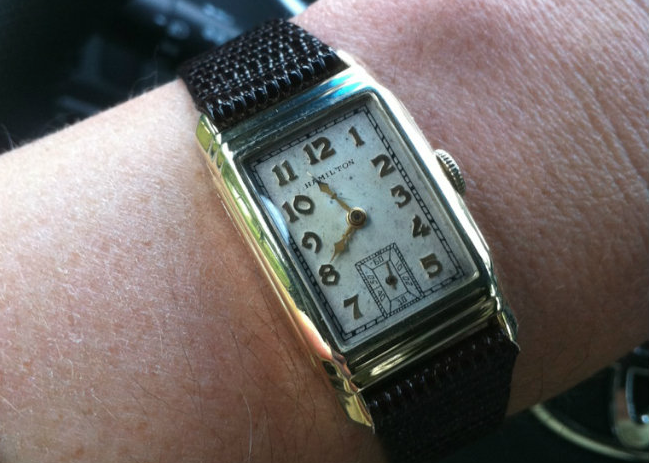 By today's standards I think these early watches are just as wearable by women as they are by men. I'm lucky enough to have found an AGN and an AGM dialed Nelson and I enjoy when it's their turn for some wrist time. Really enjoying your blogs! Just great and I am learning as well! Thanks! Just like Michelangelo.. Ancora Imparo!